A lot of people wonder if composting is really worth their while. If done properly it really takes a minimal amount of effort. I am not saying you don’t have to work at it, but you don’t have to work at it hard. You just need to follow the “rules” and you will get an excellent product to use in your garden, your containers, or even your flower beds. Plus, let’s face it. None of us wants to contribute any more to the already overflowing landfills than we need to. Just think of it as doing your part to help Mother Nature. Over 1/3 of the materials in a landfill are compostable. Why are we throwing out these items that we can turn into the best amendment for our gardens? Do we think it is going to be too hard? I don’t know, let’s not over think it. Composting is simply the breakdown of organic matter. Nothing more, nothing less. Compost fuels plant growth, while restoring previously depleted soil. It also helps to retain soil moisture and helps to hold off plant diseases. What Will I Need to Compost? There really is not much start up cost and you can get as fancy as you want. To start you can use a small roll of fence that you can purchase at any local lumber store or home store. You would also want to have a few posts to wrap the fence around to make your “bin”. Or, you can recycle pallets to make a compost pile. The most expensive, but probably the easiest way is to use a tumbling compost bin, but they will be the most expensive initially. There are also worm composters available. The worms do the breaking down of materials in these systems, no turning with them. If you are doing any other method than the rotating bin or worms (vermicompost) you will need something to turn the pile with. We had a special compost turning tool at one point, but a shovel or hoe would work just as well. A neat thing to have on hand is a compost thermometer. You can take the temperature of your compost pile and brag to all of your neighbors how hot your pile is. (I know, a little too geeky for some). This is also a nice tool to help troubleshoot as you rill read below. A really nice item to have is a decorative bin to place on your kitchen counter to collect scraps. You then just take this to your pile every day. Other than that you need your browns and greens. I remember reading an article in a gardening magazine years ago. The author was telling you if you did not have enough garbage to use OPG (other peoples garbage). I guess some of your neighbors and friends would be willing to do this if you share at the end. I have also read about people going to produce departments and getting the produce that goes bad. The stores are usually glad to give you these unsalable items. That way it doesn’t have to go to complete waste. If you have checked into composting before you have probably seen the terms “green” and “brown”. These are referring to the 2 sets of materials that should be added in proper ratios to your compost pile. The green items supply the nitrogen and the brown items supply the carbon. You should use a ration of 1/3 green to 2/3 brown. I do not recommend using cheese or meat scraps for your compost pile, as these attract rodents. Leaves and larger items should be shredded prior to being placed in your compost bin. If you have too many leaves in the fall you can just save them to the side and add them to the compost pile as needed. Meanwhile they will be partially breaking down. Be sure not to add big clumps of any of the items you are putting in your pile. You want everything to be loose . Don’t leave food scraps at the top of your pile. Cover them with a layer of leaves or grass. This will help to deter pests (rodents, raccoons, etc) that may want to get into your compost. You need to rotate every few weeks and add in more materials. You should be keeping your pile moist, not damp. Or, if you have purchased a rotating bin you should follow the instructions that have come with the bin. These are usually up on a stand and are easily rotated with a handle or simply by spinning the bin. 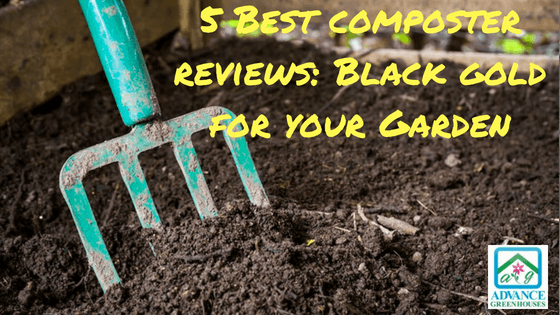 Your compost pile should not smell. If it smells like rotten eggs or musty you need to add browns and aerate it (turn the pile). If your pile is not getting hot enough add more greens. This is where your compost thermometer comes in handy. Your pile should be getting to at least 150 degrees F if it is working properly. If your pile is too wet, add brown – cardboard, leaves or wood chips. If you have mites it means that your pile is too moist. You need to add your brown materials. You may see a white layer form over your compost pile. It is fungus and will aid in the process. It should be ignored. You may also see millipedes and potato bugs in your pile at times. There is no concern as they are just aiding in the process. If you have rodents you should make sure to “bury” food scraps below the surface of the compost pile so they are not quite as tempting to the animals. 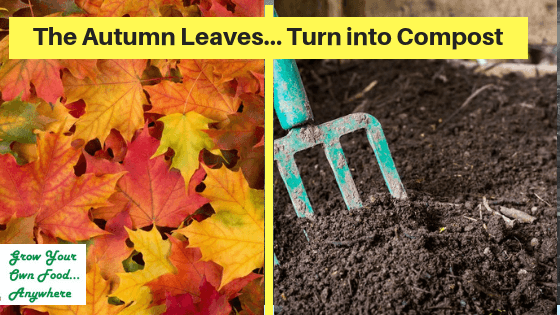 Most people agree that the fall is the best time to add the compost into your garden soil. Cover it with some sort of mulch. That way it will have the entire winter to break down and become part of the garden bed. If this is not possible or you just don’t want to do it then you can add it about 2 weeks before you are ready to plant. Be sure to mix it into the soil good. Of course most of us are in a big hurry in the spring to get planted, so waiting until you can work the soil and then waiting 2 more weeks may be too much for some of us (pointing at myself). Did you know that you can use your compost pile to heat a greenhouse? You can put the compost pile directly in the greenhouse if you have space. Remember that they will get up to 150 degrees when working properly. Use your thermometer to check the temperature. If it is lower than 120 degrees you will need to aerate the pile. Some people are concerned about having their compost bin inside the greenhouse due to the potential fire hazard. Plus, I have heard the complaint that the pile may smell. If you recall from earlier in this post, if you have a smell you need to fix your compost bin – something is wrong. If you prefer to have your compost pile outside the greenhouse you can run water pipes through the compost pile to heat the water and then run the pipes into your greenhouse. Composting is a win / win situation. It is good for your garden, good for the planet and good for your soul. Get busy composting! We participate in the Amazon affiliate program along with several other affiliate programs. If you purchase a product once you click a link in this article we will be compensated in the form of a small commission. This does not and will not influence our opinions and/ or reviews. Thank you. considered by some gardeners to be the best thing since sliced bread, is caused by the breakdown of organic materials. There are several different ways to do this from just piling stuff up and waiting for it to break down, to turning or tumbling your materials to get the process moving along faster. Compost is often confused with having the same purpose as fertilizer. Not so. Fertilizer will feed your plants, properly composted materials will feed your soil. These beauties are made in the USA of food safe materials. They are available in a smaller 17 gallon size and a 35 gallon size. They are nice and neat and can be used on a back porch for easy access with kitchen scraps. You simply add your material in the proper ratio and rotate 3 times every 3 days. Once the compost is ready you can take the drum off and roll it to the spot where you will be using the materials. There is absolutely no assembly required. Absolutely no assembly. Take the drum out of the box in put it on the base. Period. You can add plugs for the compost tea feature in the base according to your needs. Compost is an end product from the breakdown of decayed organic matter. It is dark and crumbly and should have an “earthy” smell. It acts as a soil conditioner or amendment. There are many positive attributes to compost, but probably the most important is that it helps keep your plants healthy. It is a natural pesticide for soil and helps to attract beneficial life forms such as earthworms. It also helps your plants to make better use of the nutrients in the soil. Soil moisture is retained better. If you use compost regularly you may find that you are able to cut back on your usage of fertilizer and that would result in a cost savings. An original application should take placed approximately 2 – 4 weeks before planting in the spring. It may be applied again in the fall. Compost will release its nutrients slowly throughout the garden season, so no need to reapply. But, you may want to side dress your plants during their peak growing season. No matter what type of system you use there are a few basic rules to follow when composting. You need a proper mix of nutrients. Brown materials will supply the needed carbon for energy for the microbes. Green materials will supply the nitrogen that is necessary for the growth of the microbes. A general rule is 3 parts of brown to 1 part of green. A compost pile will get high temperatures in the center when it is working (up to 150 degrees F). For this reason some will say that it is safe to use meat trimmings and greasy foods. My opinion is to leave this items out of the compost bin. But, that is my personal opinion. I also like to keep diseased plants, weed seeds, etc out of my pile, but again, some will say this is safe due to the high temperatures. A properly maintained system should yield compost in 6 – 8 weeks depending on your method used. Want compost but don’t want the work associate with turning and maintaining? The worm factory is for you. Let the worms do the work. The tower has a thermo siphon air flow design for the proper mix of oxygen. The worms are breaking down materials all hours of the day and night. There is a spigot to collect compost tea. It has been proven that this type of compost will have 10 times the nutrients of compost created in a traditional manner. Better for your plants, your yard, etc. 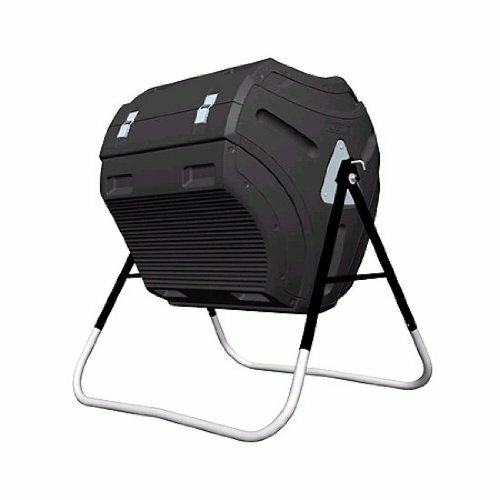 This is a heavy duty, large capacity tumbling composter that is made to last. With a large 36″ x 36″ door it is easy to tip the barrel into a wheel barrow to move your finished product. The easy to rotate barrel has indentations for both hands for ease of handling. This 2 sided composter is ideal for having finished product on one side while you are actively making compost on the other side. The sliding doors open easy. It has a powder coated steel frame. With an economical price, what could be better. This tumbler has passed the PAHS (Patan Academy of Health Sciences) and ROHS (Restriction of Hazardous Substances) Test, but has not been tested as BPA free. Assembly required – although it should be completed in an hour or so. Well, this is the way we always used to make compost. We had connecting wood “bins” that we turned and moved as it was ready. Except, we had to make the bins ourselves. What a delight to find them premade out of non rotting cedar. No matter what method you use, you should start composting your kitchen and yard scraps for the health of your plants, our planet and yourself.